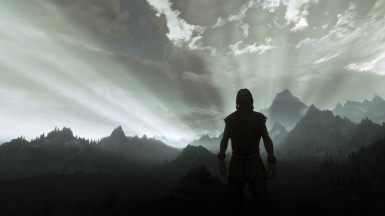 Morningstar is a small mod that overhauls the racial bonuses with an eye on realism and immersion in the low magic world of Skyrim. This mod cannot be used in any derivative work that is only available for payment. The mod does not modify the race data itself, ensuring compatibility with mods that visually overhaul races. Highborn: High Elves regenerate magicka 50% faster at all times. Marsh Dweller: Argonians can breathe underwater and swim 150% faster, slowly healing in the water. Resist Disease: Your Argonian blood gives you 75% resistance to disease. Command Animal: Bosmer can spend 50 points of magicka and stamina to make an animal an ally for 60 seconds. Resist Disease and Poison: Your Bosmer blood gives you 50% resistance to poison and disease. Dragonskin: Breton blood grants 15% chance to absorb an incoming spell into your magicka. Magic Resistance: Breton blood grants a 25% resistance to magic. Resist Fire: Your Dunmer blood gives you 50% resistance to fire. Spite: Your vengeful Dunmer spirit improves weapons and elemental damage by up to 30% below half Health. Quick Learner: Your Imperial blood allows you to learn skills 8% faster. The Human Spirit: Imperials start with 2 additional Perk Points. Claws: Khajiit claws deal 20 points of damage. Claw power attacks deal bonus damage equal to 25% of stamina. Feline Agility: Khajiit move 10% faster. Night Eye: At will - Improved night vision for 60 seconds. Perseverance: Nordic strength grants 25% chance to resist stagger from power attacks and bashes. Battle Rage: In combat, Orcs regenerate stamina 20% faster for each nearby enemy. Strength of Steel: Orcish battle training increases your power attack damage by 15%. Resist Poison: Your Redguard blood gives you 75% resistance to poison. Endurance: Redguards sprint 30% faster and use much less stamina while sprinting.